Muscovite - Borosilicate and quartz glass, mica, sealing, level gauges, armature - Continental Trade. 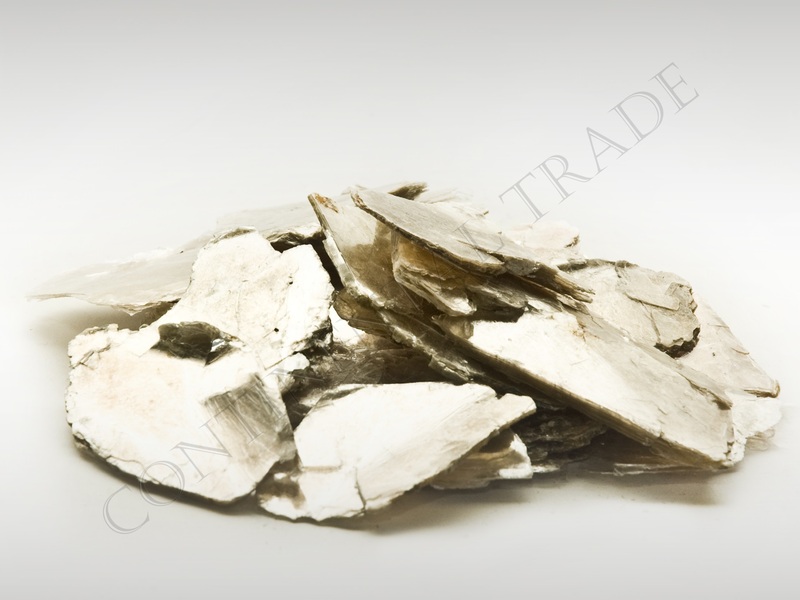 Muscovite is a phyllosilicate mineral of aluminum - KAl2(OH, F)2AlSi3O10. Is a flexible and elastic mineral, transparent to translucent, with a glassy, silky or pearl (cleavage planes surfaces) gloss. Perfect cleavage to produce thin sheets or flakes. 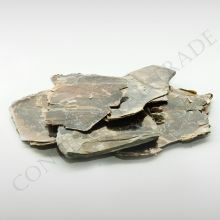 This cleavage allows mica minerals to be easily split into thin parallel sheets. 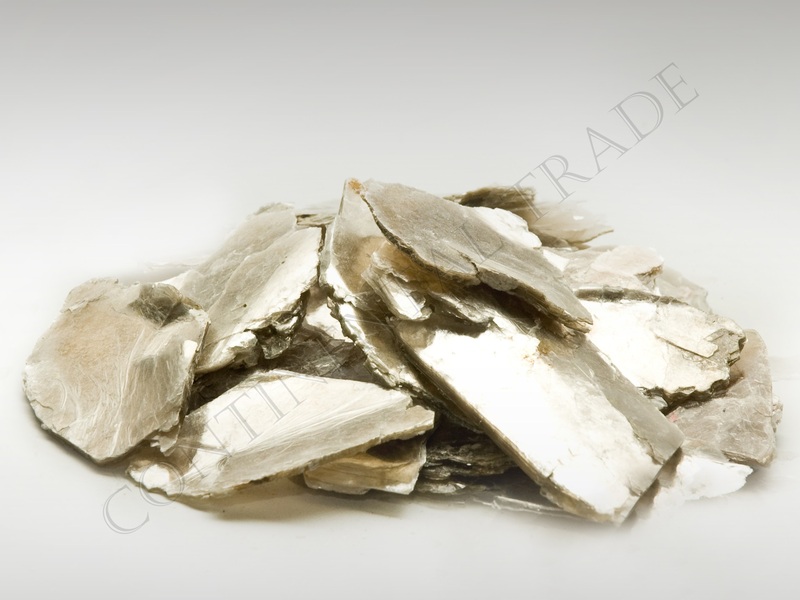 Muscovite, often called ‘white mica’, is the lightest colored mica mineral. Usually colorless, white or silver, occasionally yellow or brown. 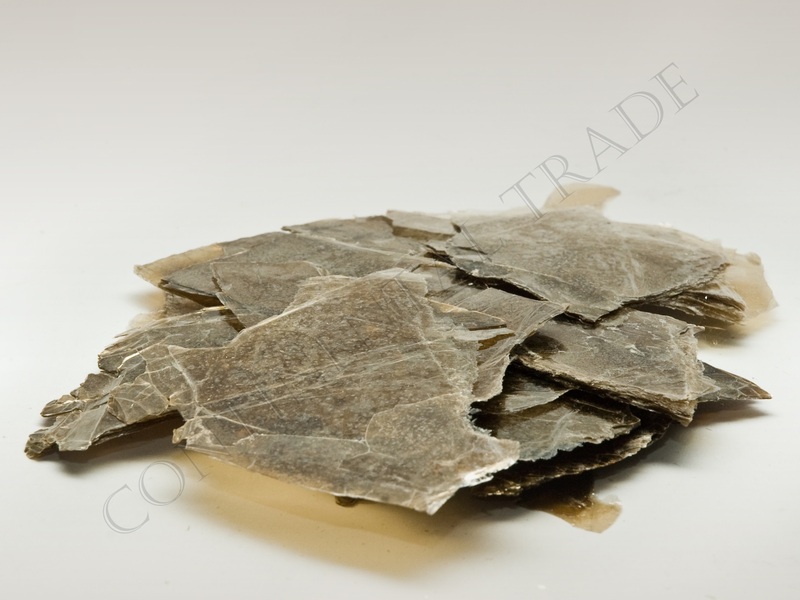 Muscovite is found in igneous, metamorphic and sedimentary rocks. In igneous rocks it is a primary mineral that is especially common in granitic rocks. In granite pegmatites muscovite is often found in large crystals with a pseudohexagonal outline. These crystals are called "books" because they can be split into paper-thin sheets. 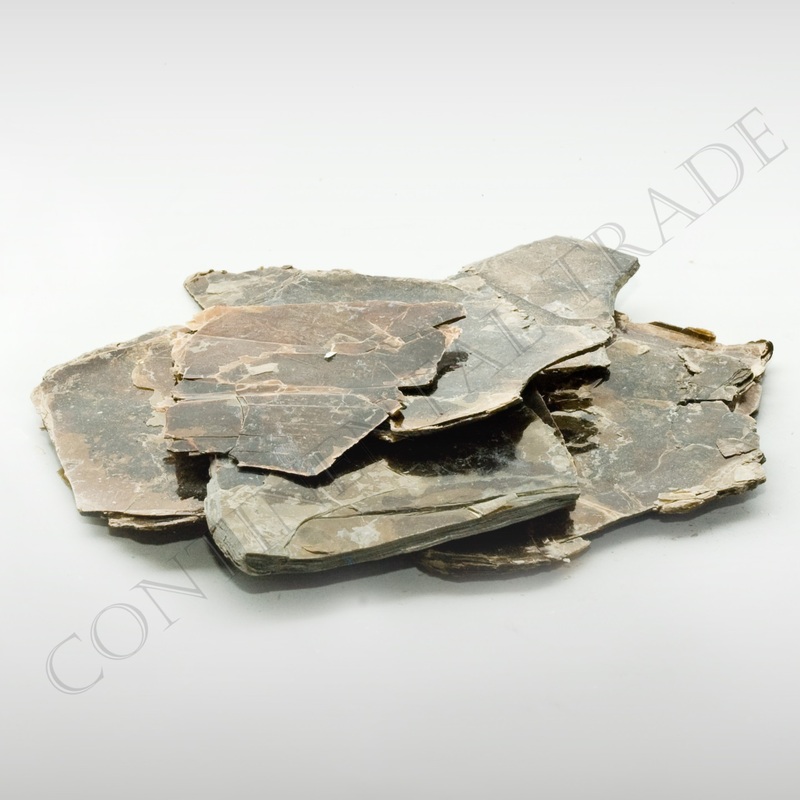 Muscovite rarely occurs in igneous rocks of intermediate, mafic and ultramafic composition. Muscovite can form during the regional metamorphism of argillaceous rocks. The heat and pressure of metamorphism transforms clay minerals into tiny grains of mica which enlarge as metamorphism progresses. Muscovite can occur as isolated grains in schist and gneiss or it can be abundant enough that the rocks are called "mica schist" or "micaceous gneiss". 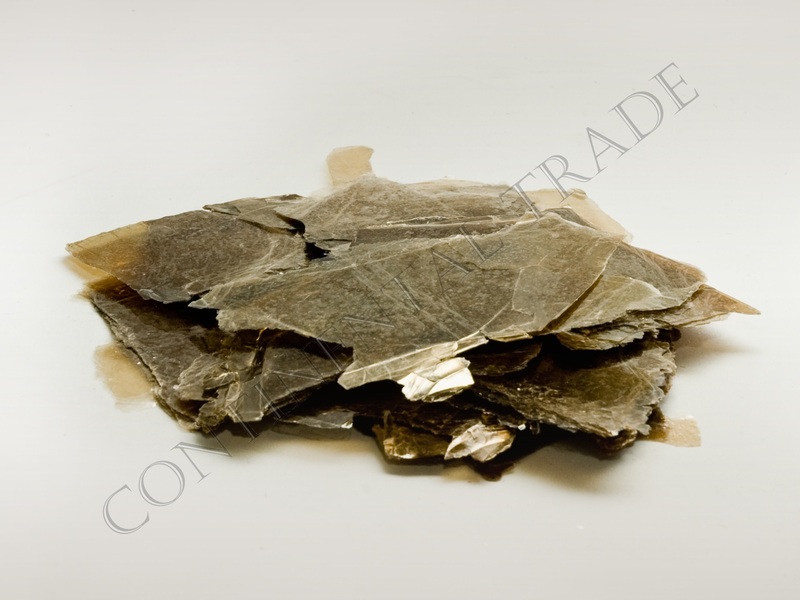 Muscovite is a very common mineral and particularly widespread. Is used as an excellent electrical and thermal insulator. Often used in the manufacture of rubber, wallpaper, plastics, paints, ceramics, in paper industry, for production of plasters and roof coverings. Ground mica is used as a filler and extender in gypsum wallboard joint compounds to fill the joints between panels of wallboards, as well as in the finished coating of ceilings. In this particular application, mica contributes to make a non-absorbing smooth surface that reduces shrinkage and eliminates cracks. Mica further provides a pervasive reinforcing matrix form of network of interlocking thin flakes on to which cement particles bond. Ground mica is also used in all types of sealers for porous surfaces, such as, wallboard masonry and concrete slabs to reduce penetration and improve holdout. It permits a thicker film to be applied and at the same time reduces sagging. Cracking is reduced by the reinforcing action of the mica flakes and gaps and holes in rough masonry are bridged by mica mixed compound applied. Ground mica is used in lightweight fire-resistant prefabricated gypsum wallboard slabs and panels in replacement of asbestos where thermal insulation and acoustic qualities are of particular importance. These slabs manufactured from mixture of ground mica, gypsum and cement compounded in different proportion after suitable curing by means of a number of formulations are fitted to individual sections of steel work according to suitability in building constructions. They could be self finished and could be plastered or otherwise treated to provide a decorative finish. They possess excellent characteristics of high heat conductivity, super tensile strength, as well as, low bulk density. The compounds are non-combustible, free flowing, chemically inert, resilient and non-abrasive. They have good thermal insulation properties and an excellent characteristic for sound absorption. Low shrinkage and coefficient of expansion, good dimensional stability, extremely low water absorption are some of its additional outstanding features which make mica an ideal product for use in the above applications. wallpaper decorative layer which allows to receive excellent shine effect and so on.